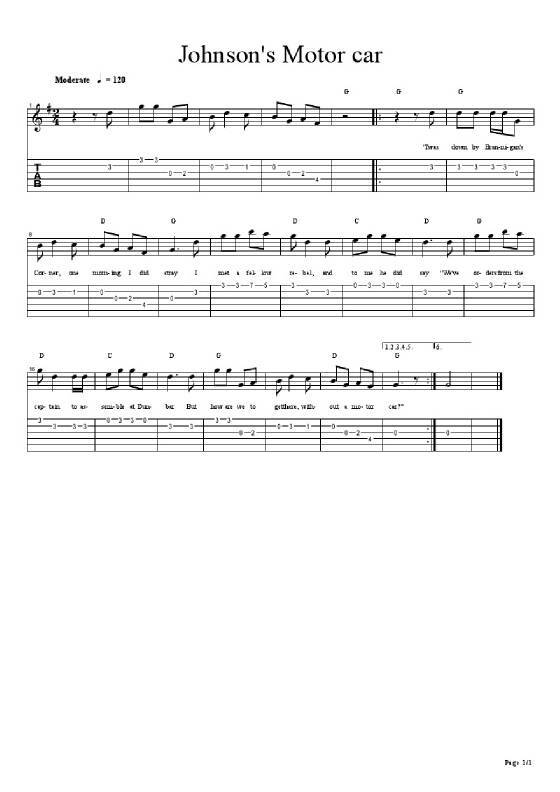 Johnsons Motor Car Sheet Music And Tab. Written by Willie Gillespie in the 1920s and based on a true story. Recorded by Ronnie Drew and The Dubliners. Sheet music transcribed by Danial.